Still wondering what that little shift button does? Well it basically lets you use your controllers secondary functions without the need for extra buttons. Keep reading to find out how to use it! 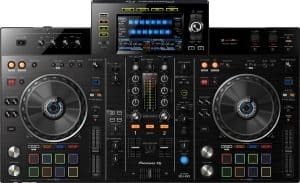 Most DJ controllers and all-in-one units have a shift button on the deck section. But this little button is often overlooked and ignored by many DJ's simply because they don't know what it does. The shift button is actually very important as it unlocks lots more functions on your controller. It's been adopted by many manufacturers as it gives them the ability to make controllers much smaller and neater. It's basically a space saving function and without it you'd need lots more buttons on the controller. So controllers can directly activate many of the features that your DJ software has to offer without being cluttered and messy. The shift button is simple to use and when you start using it you'll wonder how you've mixed for so long without it. You'll even discover lots more features that you didn't even know your controller was capable of! Sounds cool right? So let's find out how you can start using it today..
Take a look at your DJ controller and you'll see that all of the buttons will have their function written on them. Some buttons will have a secondary function stamped below them. This is the function that the shift button will activate. To activate the secondary function simply press and hold the shift button. Then press the button that has the secondary feature you wish to activate. When you take your finger off the shift button, the button that has the secondary feature returns to normal. 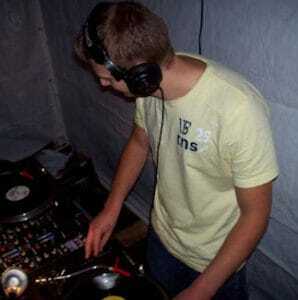 So a quick example would be the library function on my Pioneer DDJ-100 pictured above. If I'm searching for a track and decide to return to my genres folder, I press back.. But you'll notice the back button also has a secondary function below it that takes you to the playlist palette. I decide to search for a track in my playlists instead. So instead of using my mouse to find the playlist folder I press and hold the shift button and back. This takes me straight to the playlist palette without having to mess about with the mouse/track pad. This makes things much quicker and easier when you're playing live sets and don't have the time to mess around. Other functions like performance pads may also have secondary functions. So you may be able to switch between activating hot cues to activating the keyboard with a simple press of the shift button. Sometimes the shift button may have other uses besides activating a button's secondary features. Sometimes it may be used as a delete function for removing hot cues etc. You'd simply hold shift whilst pressing the performance pads with the hot cue you'd like to remove. To find out if the shift button on your controller has any extra functions simply check the user manual. So there you have it, you now have a bunch more features to try out on your controller! How cool is that? Thanks for checking out this post, enjoy trying out your shift button and discovering new functions on your controller!